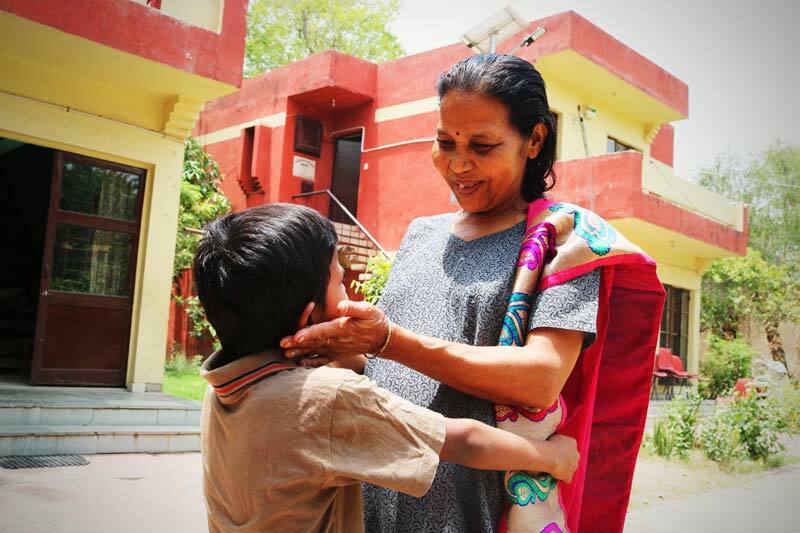 When SOS mother Jharna first cast her eyes on the little boy, she was shocked. The child had been found earlier, unconscious and listless but still alive, amidst garbage in a city outside Delhi, India’s capital. Although less than a year old, he was severely malnourished and underdeveloped. SOS mothers, the primary caregivers at SOS Children’s Villages, often care for children that come from difficult circumstances. But in this case, Jharna was asked to care for a child who had quite literally been disposed of and to nurture him back to health. Even after the boy came out of the hospital and was placed in her care at the SOS Children’s Village, some did not think he would survive. Jharna, who became an SOS mother in 2009, gave the little boy a name in Hindi that means someone who brings pride to his family. One day she knew he would. Caring for the little boy was extremely intensive, from his routine hospital visits to his special dietary needs. His food had to be put into liquid form and feeding him took a lot of effort. All the while, Jharna was caring for the other nine children in her SOS family, albeit with the support of other staff. But she says that nurturing him back to health became the mission of all the children in the family. Everyone helped. “The children were happy because his condition was improving day by day,” says Jharna, adding that it took some time before the boy fully regained his strength and caught up with the others. Today, the boy is six years old and it is hard to imagine the child who arrived at the Village some five years ago. He is an energetic and caring boy with a brimming smile. He is a bright student — all A’s in fact — and he is always eager to learn. He plays an Indian drum called the tabla, excels at yoga, and loves cricket and football. Clearly, Jharna loves all her children, but this little boy has a special place in heart. “He has already made his family proud,” she says. Canadians wishing to help are encourage to sponsor a child, sponsor a Village or make a one-time donation. Your support will help change the lives of orphaned, abandoned and other vulnerable children. Please help today.